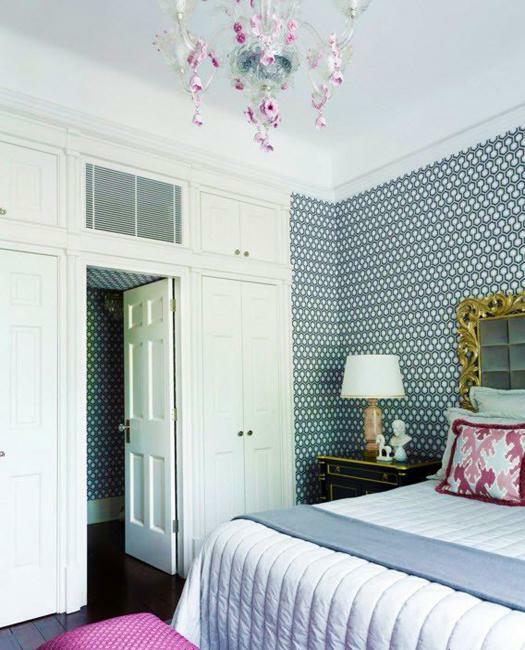 Beautiful wallpaper designs transform modern interiors, blending appealing patterns, textures, and colors into interiors to give them a fresh and stylish look. 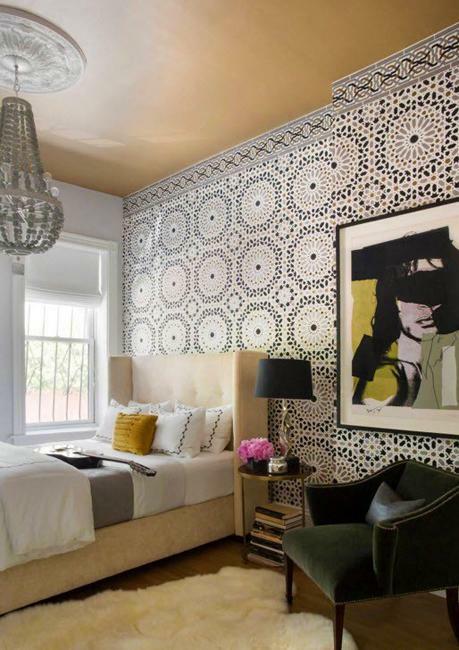 There are many wallpaper types available in the market, choosing the best designs for your rooms is not an easy task. 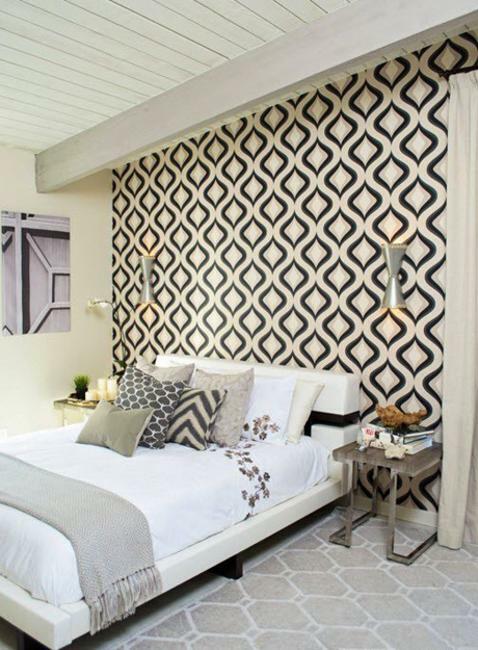 Lushome shares tips and ideas for interior decorating with modern wallpaper patterns. 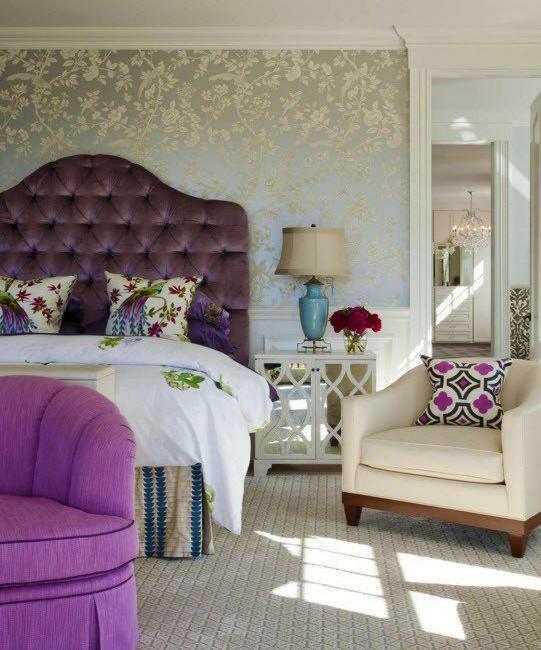 Golden and silver accents, natural material textures, black and white wallpaper designs, and wall coverings in blue, green, pink and purple colors are modern trends in decorating which offers a full palette of beautiful colors and patterns for creating bright and unique interior design for kids and adults. 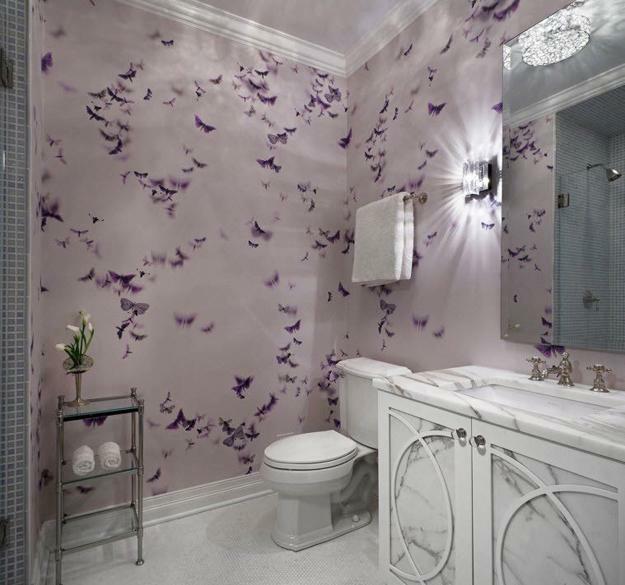 Nature inspired wallpaper designs are one of favorite design trends. 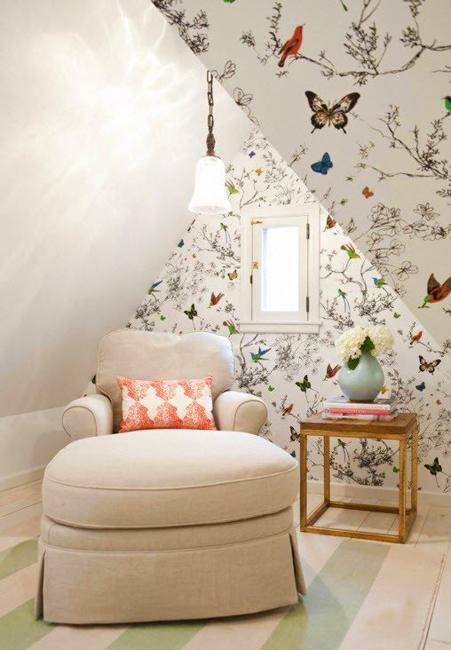 Small branches, butterflies, leaves, large flowers and flower buds are perfect decoration patterns for romantic and eco-friendly interiors. 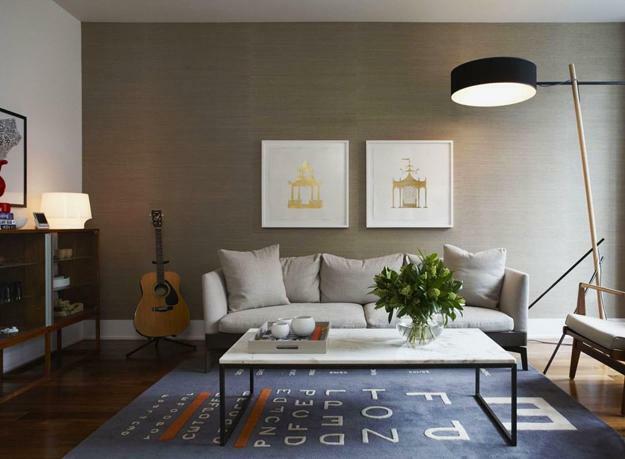 Abstract designs, stripes, chevron, circles, diamond patterns and other geometric patterns are ideal for retro modern interior design. 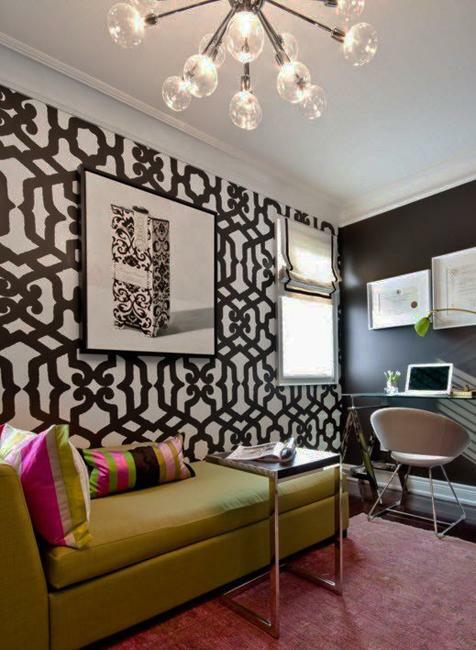 Arabesque, damask, ikat, paisley, Greek key, ethnic motifs are beautiful ways to personalize and style your interior. 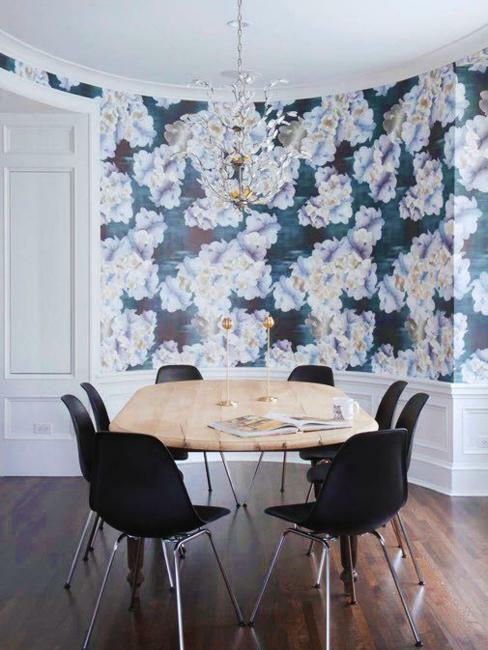 Vinyl wallpaper is the most used wall coverings. 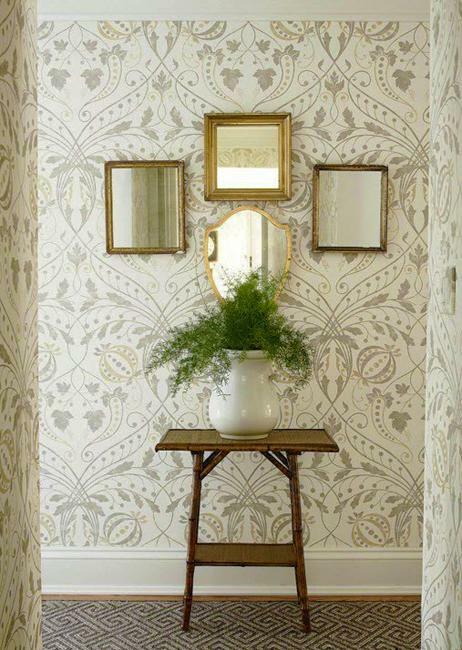 These wallpapers are versatile, suitable for any room design and decorating. 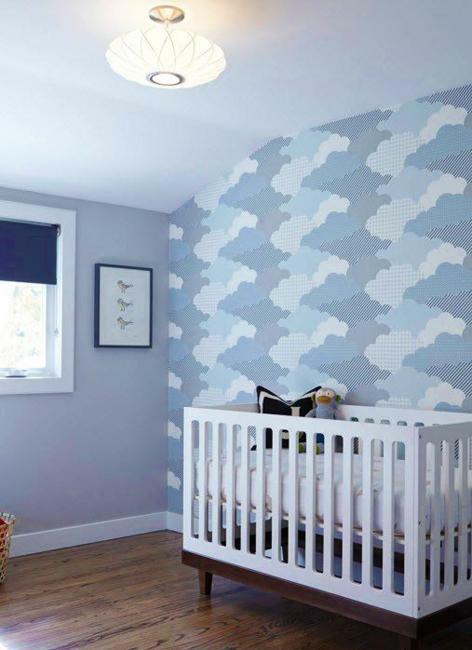 They feature printed patterns on a paper backing covered with a vinyl topcoat, which makes them practical and versatile. 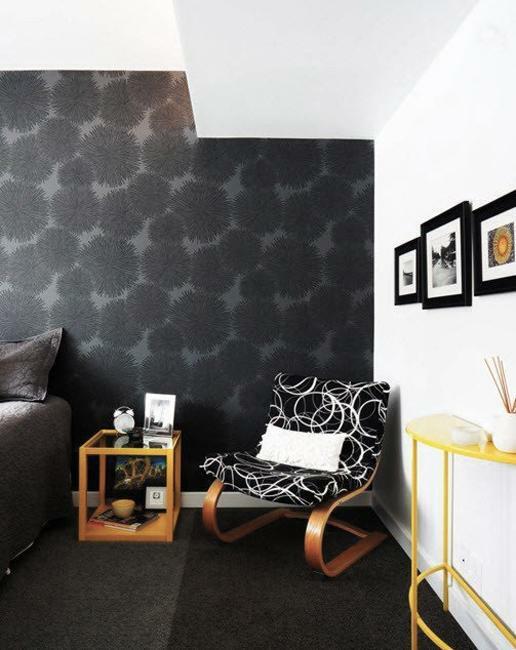 The modern wallpaper designs with a protective coat are easy to install and remove. They are washable and lovely. 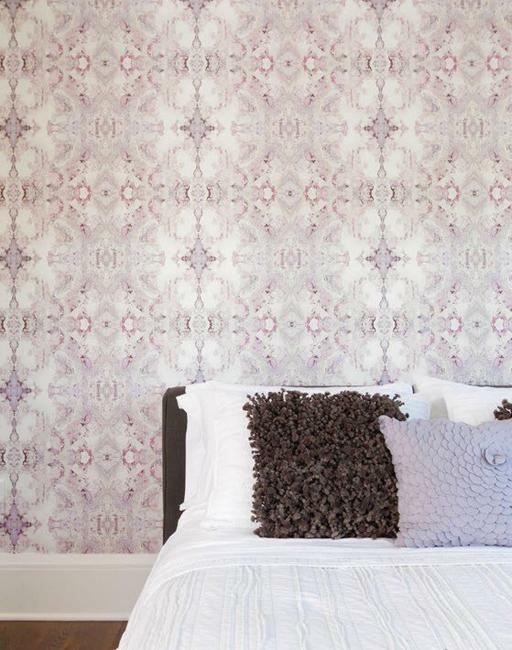 Embossed wallpaper designs feature raised patterns and create textured effects. 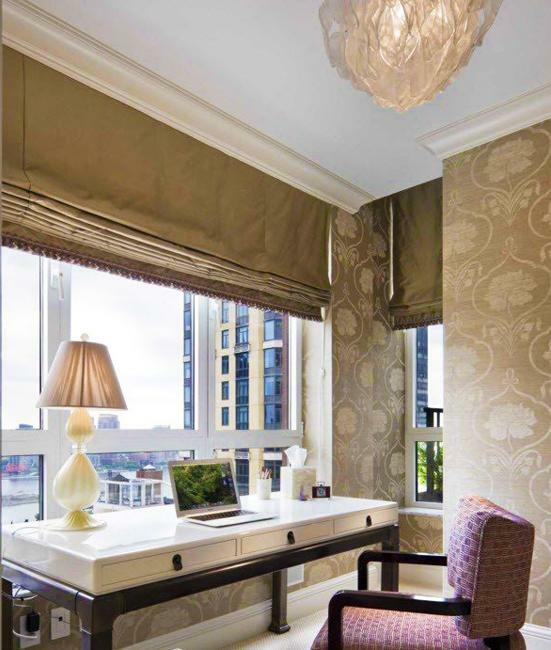 Textured wallpapers look fabulous on the walls hiding all imperfections and turning boring rooms into super modern interiors. 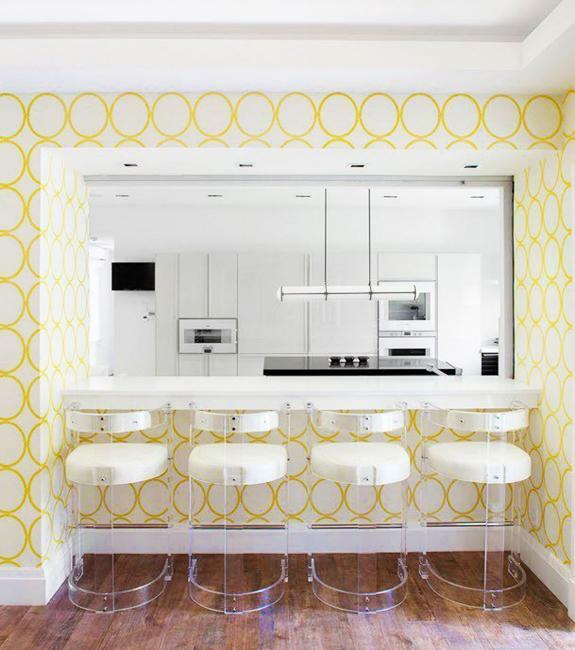 Retro-modern patterns and contemporary designs allow to refresh rooms and create bright living spaces. 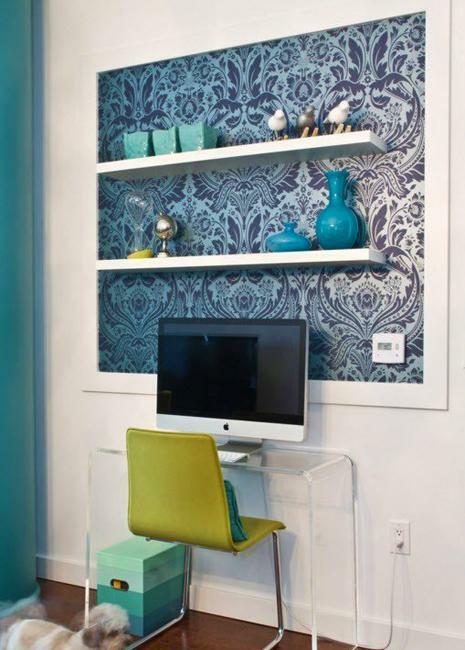 Fabric backed wallpapers offer beautiful wall coverings for high traffic areas. 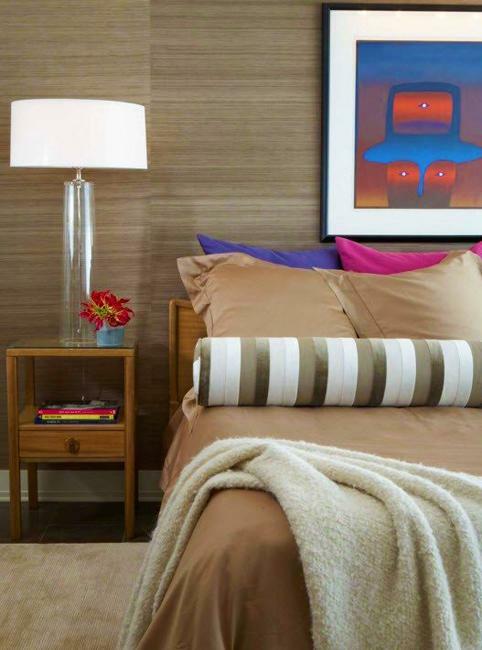 They have a back layer made of a weaved woven fabric creating the durable design. 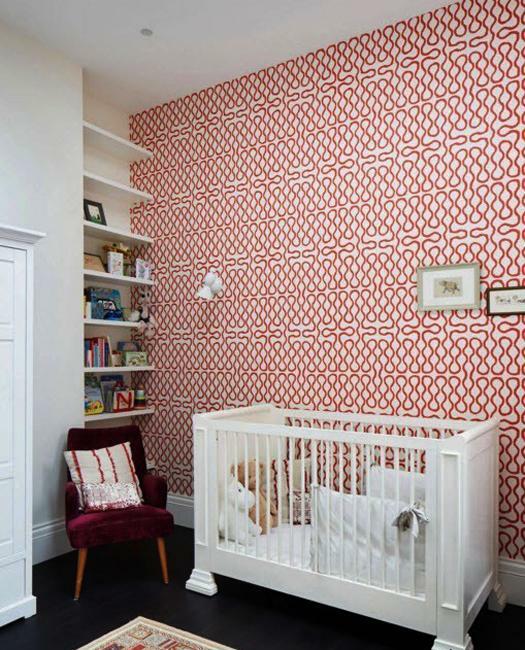 Fabric backed wallpapers are ideal for kids rooms and hallways. 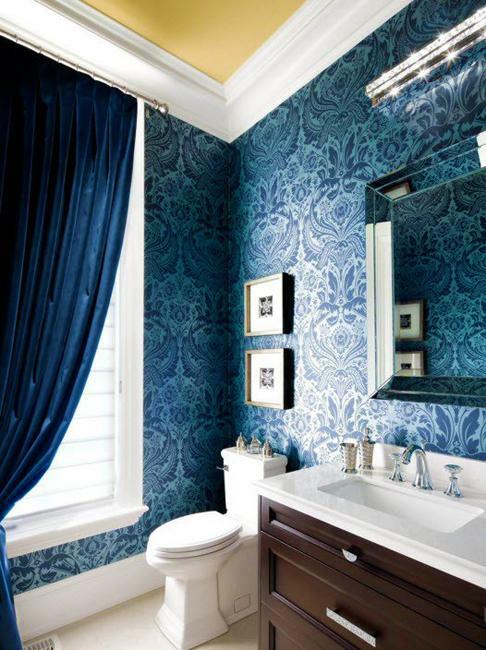 The beautiful wallpapers are excellent for family living rooms, bedroom and bathroom decorating also. 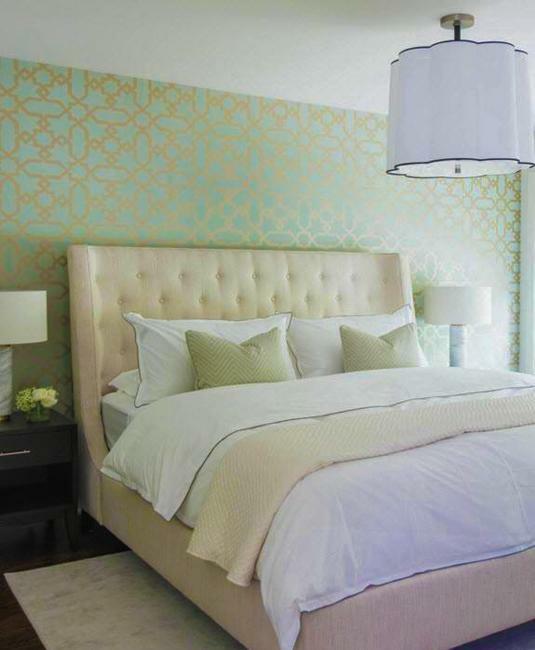 Flock wallpapers, foil designs, fiberglass, natural bamboo, silk and grass cloth wallpapers, nonwoven wall coverings, blending synthetic fibers with materials from nature, offer various textures, patterns and color combinations for interior design in any style. 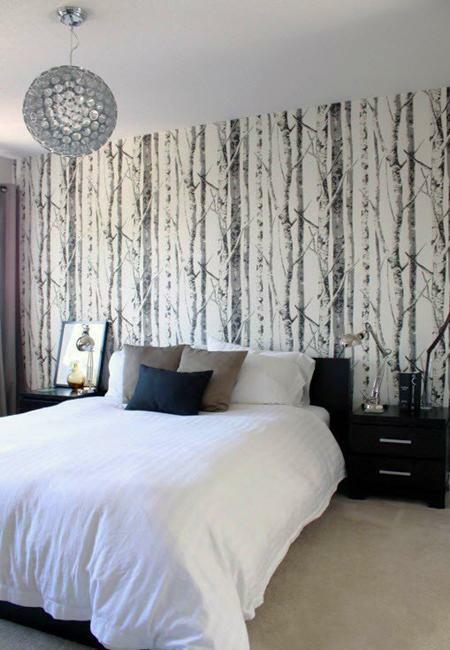 Modern wallpapers stylishly transform living spaces, make rooms look spectacular by creating original and modern walls.